Do you approach evaluation like a funnel process and what specific methods do you use to accelerate decision-making? Do you see investors that operate w/ a trigger… where they make a commitment but it doesn’t trigger until a certain amount of capital has been raised? If I’m an entrepreneur, is there anything I can do upfront to target fast-response investors and avoid slow no investors? Turning the tables, have you ever had an entrepreneur drag things out before committing that you’d get an you an allocation? Any other pieces of advice or watch-outs you’d suggest to either entrepreneurs or investors w/regards to the topic? Mike mentioned how the best founding teams are having conversations w/ the A & B investors while they’re at the seed stage. Strong Series A investors want to track the startup, look at the data and get a better sense for the founding team. And this can also signal to the Seed investors that the founders are thoughtful about the partners they want to work with once they get to an A. We’ve talked previously on the episodes w/ Peter Wilkins and Semil Shah about the importance of the post-seed plan and path to series A… but today’s interview showed that there’s a strong opportunity to cultivate these relationships even prior to the closing of a seed investment. In the interview Mike cited preparedness as having the most impact on time-to-close. When the investor has done their homework on the startup and the founders have done their homework on both their materials and on the investors they’re meeting with, negotiation will move along much more quickly and the likelihood of financing increases. When investors speak w/ a very prepared founding team, this signals a level of commitment, thoughtfulness and founder-market fit. Does the team have the data room ready? How well have they’ve built the startup’s foundation legally? And how responsive is the team w/ questions and meeting requests? These discussions can move as fast as 2, 3, or 4 weeks when the startup is prepared and has the data room ready. Mike had some great advice w/regards to communication. His first point here had to do w/ entrepreneurs avoiding investors that drag out the process. His suggestion was for founders to speak with other founders that have worked with the investors. And the portfolio companies can give insight, not only on speed to decision but also on how they’ve been as a partner through the entire process. The other key point on communication was to get out of email. Whether one is negotiating, or delivering a decision, it’s not hard to pick up the phone and talk through the thought process. Ultimately this is still a relationship business and real relationships are not built over email. Nick Moran: #Mike, do you look at the evaluation process like a funnel process with phases and gates? And what specific methods do you use to accelerate your decision making when there is a startup that you’re highly interested in? Mike Colllett: Yeah. No, we do, we do look at investing as a, as a funnel, as a step process. I mean, I think it’s always, I don’t know what those next steps are, I just know there’s another step after the one we just took. And do I want to take that step, right. And so, you know, you could accomplish a whole lot even in the first meeting, where it’s clear what that next step looks like. And then sometimes you know, time ushers the steps to be faster. Sometimes in both sides they agree that we should just kind of wait a second because we’re not quite there. For us to get excited, one, we got to be knowledgable and passionate about that space that that team is going after, right. And maybe it’s on the periphery but we understand the pain in the industry and we know what the customers are paying for and want for the solution. You know, I think as well that every deal that we do, we are passionate about it as well. And we see how we can be helpful. If we can’t be really helpful to a team, you know, it, it goes hand in hand with your passion too. If you get so passionate about something, you’re just telling every, all your friends about it, and you’re trying to help out that person as much as you can. If it’s a model that you don’t really care about, or if something pivots into something you don’t care about, right, you’re going to get less helpful. So we want to, we want to make sure those two are married, and then again we’re comfortable if the team knows what they’re doing. So once all that’s out of the way, then we want to get into the backgrounds of the founders to really understand what their character is, what is their founder market fit, and then we can dig into the business and the minds of the team to see how they are, how they’re looking at it. And once you start those conversations, it’s not a laborious process for us because we’ve done the work upfront, hopefully, right. Mike Collett: And you know, if that, if you do that work, if you put in the work, good things usually happen. You know, an old basketball coach always used to tell me like, listen the harder we practice guys the luckier we’re going to get in the game. And you know, they are just, there aren’t any shortcuts in life and I’m not Mr Motivational Speaker right here, but it’s just true. And so like I feel badly when we don’t put in that work beforehand. But every team, everybody’s got to do the work. And a lot of times you see, you don’t see that and diligence. And so we, you know we want to do as much as can upfront before we come in. Nick Moran: Do you ever see investors that operate with a trigger where they make a commitment but maybe it doesn’t trigger until after a certain amount of capital has been raised or maybe a lead has been found? Mike Collett: And so, and so how do we, how do we make sure that the team gets that about of capital. And so you’ll, we will only do a deal, and it’s not like so much well we’re going to put in this only if you get this amount of money. The idea is like listen we want to raise about this or this, you know, the lead’s going to put a certain amount, if that’s you or somebody else. And we always want to make sure that there’s enough capital on that business to move forward. So once you sort of hit those numbers then, you know, the round can move. Now, every now and then you don’t hit that and maybe get close and you can amend the docs. But, you know, at the end of the day yeah if I think, you know, those triggers are, they are there and they are there for a reason because nobody wants to you know invest in a bridge to nowhere. But you’ll, and in earlier seed deals that’s less likely, but you know when you start doing institutional two, two and a half’s and then everything on, there’s a minimum size for the rounds that you want to have. Nick Moran: #Mike, if I’m an entrepreneur, is there anything I can do upfront to target fast response investors and to avoid slow no investors? Mike Collett: Yeah, ask , ask other founders who have worked with those investors how quickly they move. I mean, no joke, like it’s a strongly correlated variable. It’s just, it’s a, and I tell everybody to do that. I mean do your homework on these people who you’re calling. Mike Collett: Ask someone, like did they drag their feet? How were they in negotiations? Did they say everything they are, they said they were going to do? Did they do everything they said or are going to say, right? And, they’ll tell you. Work with those people who come out well with that. That is the most important thing to avoid, these investors who just sort of drag you through the ringer. Nick Moran: Yeah. How better to get some information on investors than to talk to the portfolio companies? Mike Collett: Absolutely. I mean I love, and I wrote a post about this, you know, earlier this year. Listen, I mean, if you got the wrong investors , you’re going to do the work, you’d do the homework, right. I mean, I love investors who say listen I need, you know, I need two references from you, want to talk to two of your founding portfolios, you know, founders, whatever it is. I absolutely love that because they’re doing their homework on me. And, you know, we hopefully have done what we need to do to be able to garner you know, founders giving us and showing us things, right. And so, to me that’s a sign of a very well thought out team that is going about this process like the way they’re going to run their business. And we love that. We’re happy to always give as many references. Nick Moran: have you ever had an entrepreneur drag out things before committing that you’d get an allocation? Mike Collett: No, # Nick, never. Never # Nick. Mike Collett: We are, we are held in such high regard, I mean, absolutely. Listen, I mean absolutely. It just, and I , again I don’t want to bash on some founders who, who have done that to us because yeah I’m sure we’ve been guilty of it in the past, of doing some more things, hopefully not. But I give some credence to some, sometimes teams just haven’t been through this. And I really like the teams who are upfront about it, right. It’s not some negotiating tactic to try to you know for you to know everything. Like, listen I know everything. Like the humble guys say, you know, listen I mean maybe I have, maybe this is a first time founder, we’ve been through this so I’m learning what are your thoughts on this. And you know, I appreciate that, right. I’m not going to lie to them to try to get a better price. So yeah I think you have to really, really understand how things unfold at this, at this time. And I want to give some credit to some people who just haven’t been through the process. Now it’s one thing when, you know, you love the person, this is great, let’s negotiate now a while. actually we’ve we’re comfortable with it. And all of a sudden something turns, right. Mike Collett: And, and whatever that is, it doesn’t really matter, but at the end of the day when that momentum wanes, you sit there and say alright is the character of this person and the way they’re running the round the way that they’re going to run the firm. And maybe we don’t want to invest in someone who’s doing it. So the ones that have happened that way, whether they work out or not, we sit back and say, that’s totally fine. Listen I mean we’re all big boys, not taking this is not personal , if you want to go that way that’s totally fine. It’s different than like competing for a lead and not getting that and not getting in the deal. Like, that’s totally different, it’s more of yeah we love you, you’re great, oh by the way you’re not great in an email. So listen, it’s just life, there’s so much opportunities out there, life is way too short. So we don’t get hung up on that but yeah it’s of course it’s happened to us. Nick Moran: Yeah, it seems like some of the deals where we’ve dragged our feet in the past, the leverage shifts. So it goes from the entrepreneur trying to convince us to invest, to all of a sudden they get a great lead or something and then we’re campaigning to get our allocation. Mike Collett: Yeah, yeah, exactly. And you know sometimes in early stage stuff, you got to get your order in. Mike Collett: And we’re not, you know, there are far better investors than us out there. Or prettier girls at the ball too. But you know, as long as you’ve got something that’s very clear about how you’re going to help and get in. But you’d hope, you’d hope people value the ones who come early with their proof and their, and their passion, right. I mean that’s, that’s what you, you love the founders who, who say we want to take care of our early investors because they brought us here. Nick Moran: # Mike, any other pieces of advice or maybe watch-outs that you’d suggest either entrepreneurs or investors with regards to the topic today? Mike Collett: And even if it’s maybe not together, get on the phone, right. Get on the phone and talk. If there’s a tough part of a negotiation or there’s something that doesn’t make sense and like, there always is, right. You know, I had a, I had a, last night we were doing a follow on in a terrific team and I forgot we were actually investing, what we’re investing, and I told them yeah alright we’re ready to move forward with this amount. And the founders call us back and they’re like wait I thought you said this. And I’m like oh yeah I did say this. So, get on the phone, say I’m sorry I didn’t mean to freak you out, right, we’re doing too much too many deals, I got to like get some more sleep, whatever. But the point is like everything isn’t done over email. Get on the phone, talk things out, I want to hear what that person’s thinking. You know, most of the time it deflates whatever. People love to go and not sign emails at times, and, you know, life’s just a lot better in person or on the phone. So, you know, use your voice and a lot of times when you do that, a lot of things, you know, get put back to, put back in the place they should be. Nick Moran, Well, certainly your reputation of being approachable and supportive here in Chicago precedes you, so. Nick Moran : So to sort of wrap things up here, # Mike, can you talk about some of the things you’re currently most focussed on? Mike Collett: Yeah. We’re quite focussed on hardware now. We’re, I don’t know how many hardware deals we’ve done, I think the secret unfortunately has got out that hardware isn’t as capital intensive as it once used to be. But it’s still very hard, right, there’s a reason that’s, you know, the hard is in hardware. And there’s a way that you should raise money, and there’s a way that you should thin about the early days of a hardware company. And we’ve seen enough companies now do it very well, that there is a little bit of a rootwork (11:36) to that. We really like hardware as a wedge, and the software again and the backing and the data that come out of that is, that’s where the gold is. It always is. So we’re going to continue to do a lot in there. Health tech has continued to be very interesting to us. We’ve, we’ve done a bunch of investments in that space and we don’t do bio, we haven’t got so much into bio that a lot of VC’s have done on the data side. We’ll touch FDA where it’s really light weight but generally it’s other ways to improve health, in space, we’re doing a lot of work in space as well. Nick Moran: If we could address any topic in venture, what topic do you think should be addressed, and who would you like to hear speak about it? 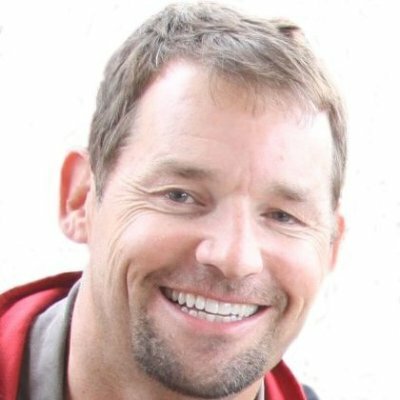 Mike Collett: We were talking the other day just about instead of advising people to invest in startups, you know, over in London, Canada does this with their engineers, Finland does as well, right. The municipal and national governments have just done a great job of economically in sending people to invest in early stage businesses. And I just , I have a hard time understanding why anybody would be against that, given how much we spend in a lot of other areas and how important jobs are to the economy. And, you know, small businesses are the engine of all job creation and this whole wave of more and more people building startups and making it easier to build things and cheaper. Like, it is a fantastic thing for, for the world. Period. And so, you know, I’d like to hear every VC talk about how we should be lobbying in ways to give incentives to people to invest, right. And there’s a lot of really good folk who are doing that and trying to bring down the credited and qualified investor number and really let anybody invest in startups even if they don’t have millions of dollars to their names or whatever all these levels are. I mean, you go through a test with your bank to lever up your home extraordinary ways, and I mean we’re not talking about levering up, you know, startups. We’re just talking about basic investing. So if people don’t go out and invest in options, which to me are far more risky, or let’s just say equally as risky at times as what investing in startup would be. I think there should be some requirements. I’m not flipping enough to think that startups are easy and you should make a lot of money, but I think the barrier should come down far more. I think there should be incentives around it. And I’m surprised more people haven’t talked about it, but that would be an area I’d love to hear more about. Nick Moran: And finally, what’s the best way for listeners to connect with you? Mike Collett: Sure, well I can be reached at mike at promusventures dot com on the email. We give high, high value to hustlers, right. You know, we don’t answer many, you know, very few of the colt emails we get, but we will. And, you know what I see them all. I look at them all. So I have no problems of people reaching colt calling us at all. Yeah, I’m at twitter @mikecollett , you know, I have a, we have a blog at # Promus Ventures and mikecollett.com , you can reach me in any of those places. Nick Moran: Well # Mike, I have continued to hear really positive things about # Promus from folks out in they’re with, and feel very fortunate to have had the chance to connect with you a few weeks ago. So, thanks so much for sharing your time and your thoughts with us today. Mike Collett: #Nick, thanks so much for having me. I really enjoyed it.